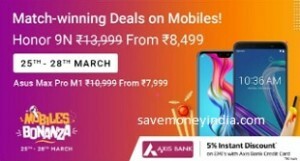 Match-winning deals on best mobiles. Yes same thing happen with me few months back, due to a very small dent on edge, pickup guy rejected my used mobile and as per flipkart cc it was courier boy’s mistake and flipkart has no such policy. Has anyone faced a problem of their phones being rejected for minor reasons in exchange scheme. Me and some of my friends had tried to buy phone on flipkart under exchange scheme and the flipkart pick up guys have rejected the phone even for the slightest of the reason.